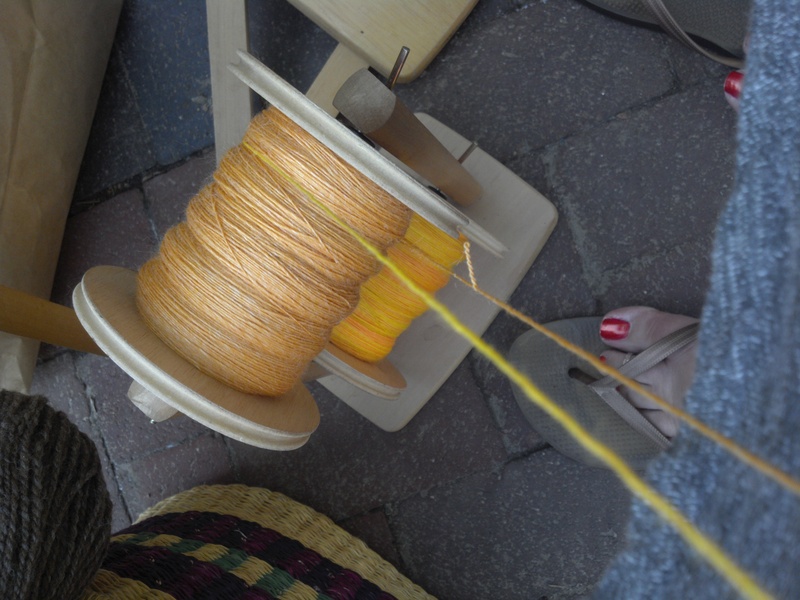 Once I got my first project cleaned up, I started on my second fleece…the Bond….Australian Bond. Hehe This is the fleece that I bought to work on during the Tour de Fleece on my big project. 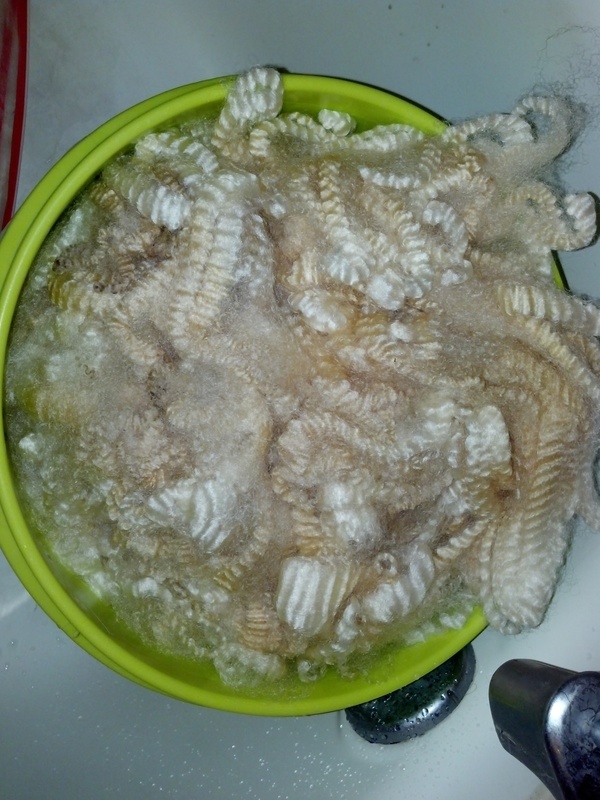 I didn’t wash all of it, but maybe a quarter to a fifth of the fleece. Ms. Gleason told me that I had to make sure to get the musky smell out to know that it was completely washed. I think I had it in my mind that I needed to do a few more washes then I did with the fleece before that. In the process, I think I partially felted some of it. 😦 I didn’t use a lingerie bag like I knew I should have. I had thought about it, but wasn’t quite sure where it was. For the remaining fleece, I will for sure be using a bag. In between washes I made sure to be productive. 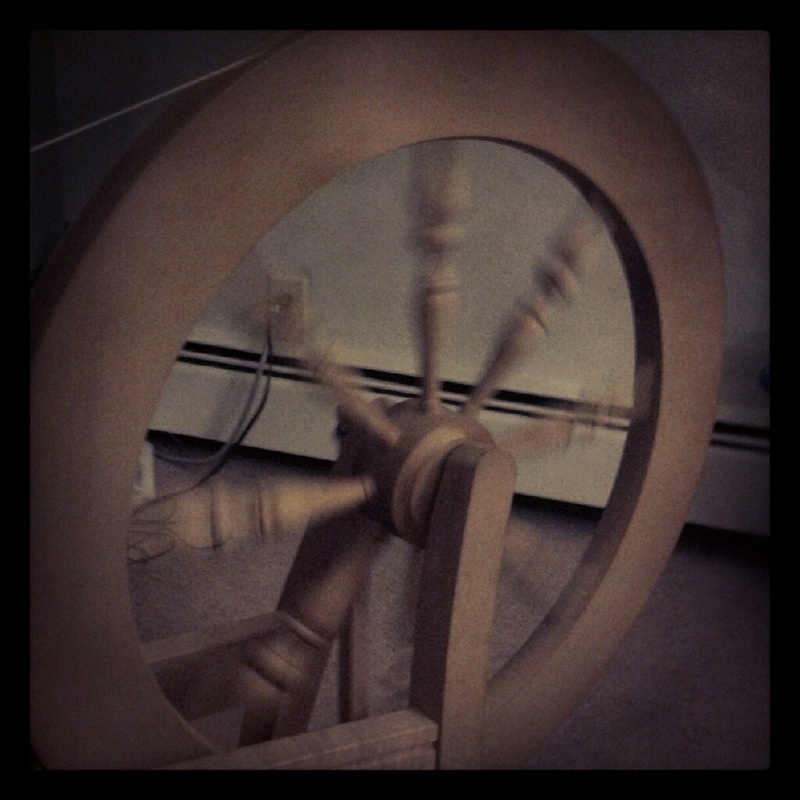 I worked on finishing the project I was currently spinning. 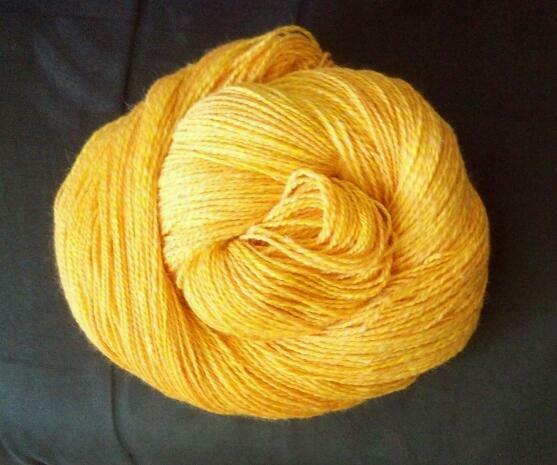 I had bought 4 oz of a Merino/Silk blend (80/20) a couple of years ago, but hadn’t thought about what to ply it with or what to do with it period. 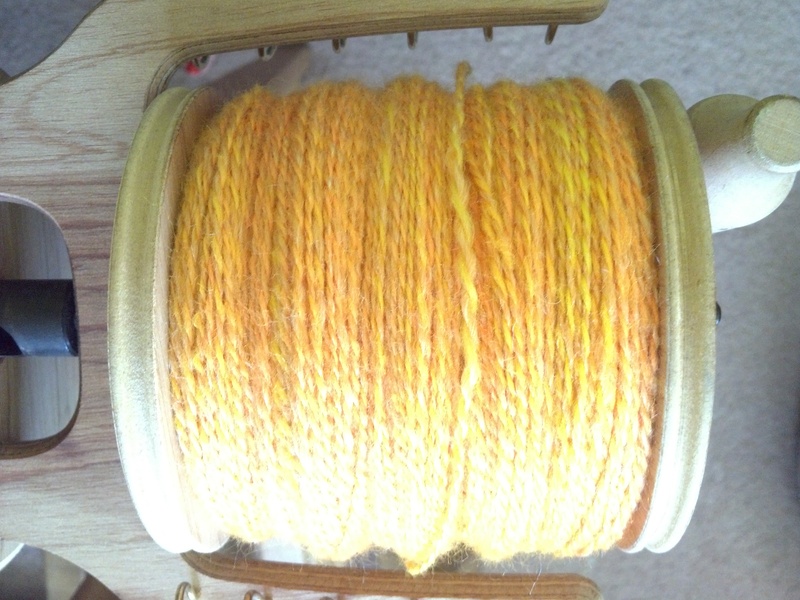 While spending time with Peggy and all of her amazing pieces of work, I found hand-dyed roving that matching the sherbet orange Merino/Silk that I already had. It had shades of yellow and orange and thought it would be perfect! I’m really happy with how it turned out. I spent a good part of a day plying. It came up to a little over 535 yds. 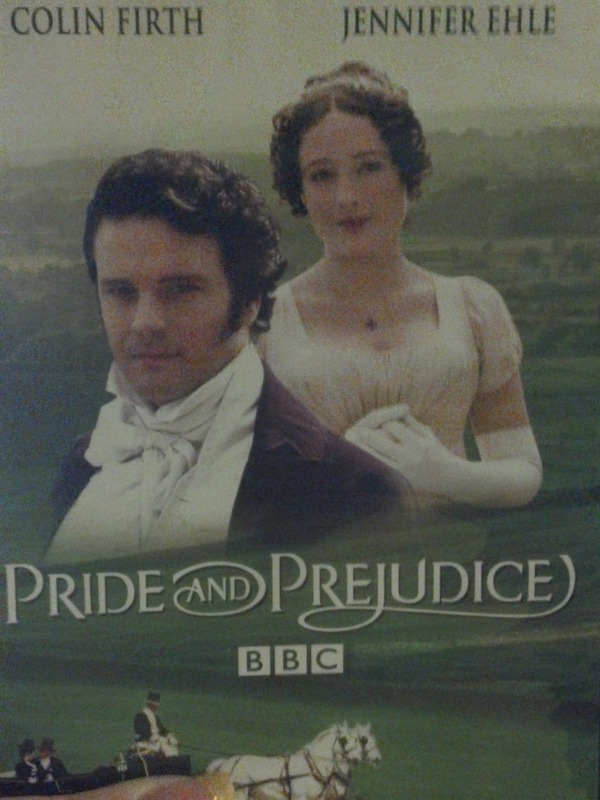 While spinning I had two good things going for me. 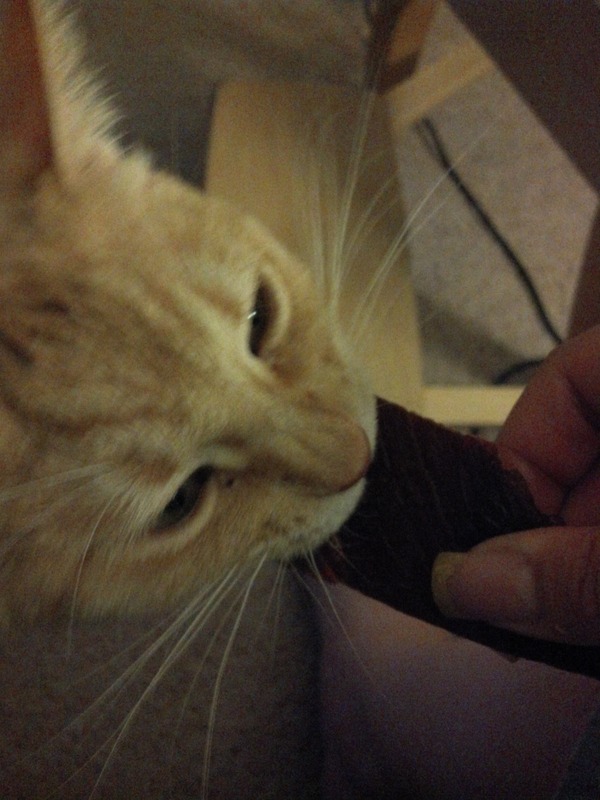 Pride and Prejudice and beef jerky, which Reilly, my kitty loves also…the jerky that is.